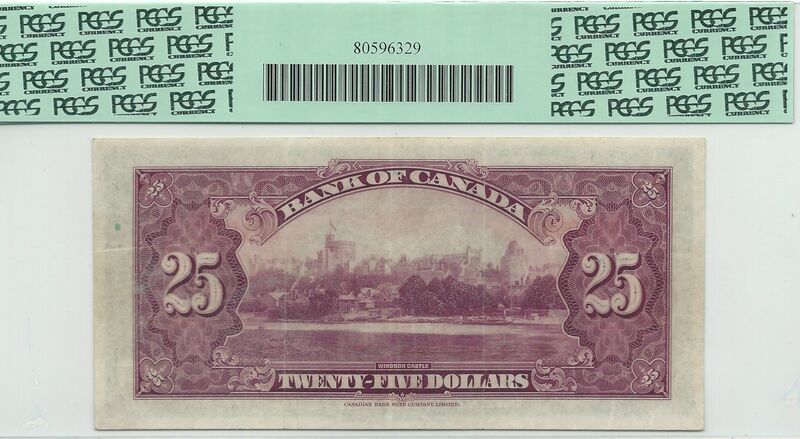 This is one of the nicest VF 25 Silver Jubilee notes you will ever see. The margins are exceptional and the few folds that are present are far from distracting. 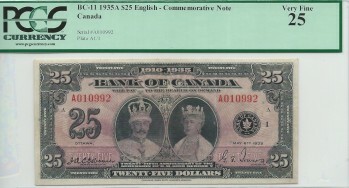 The note shows a portrait of both King George V and Queen Mary. 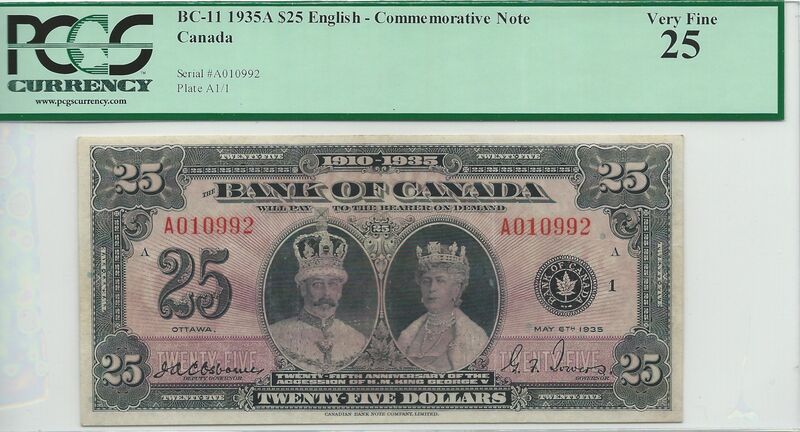 If you are into royalty, you get double your money with this one. 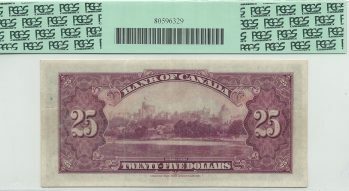 A grade of 25 should make this an attractive target for collectors who want a pretty note, but can't afford to spend tens of thousands on an uncirculated example.